Boots are what put Astars on the map. Stomp! This Fall they have expanded their family. 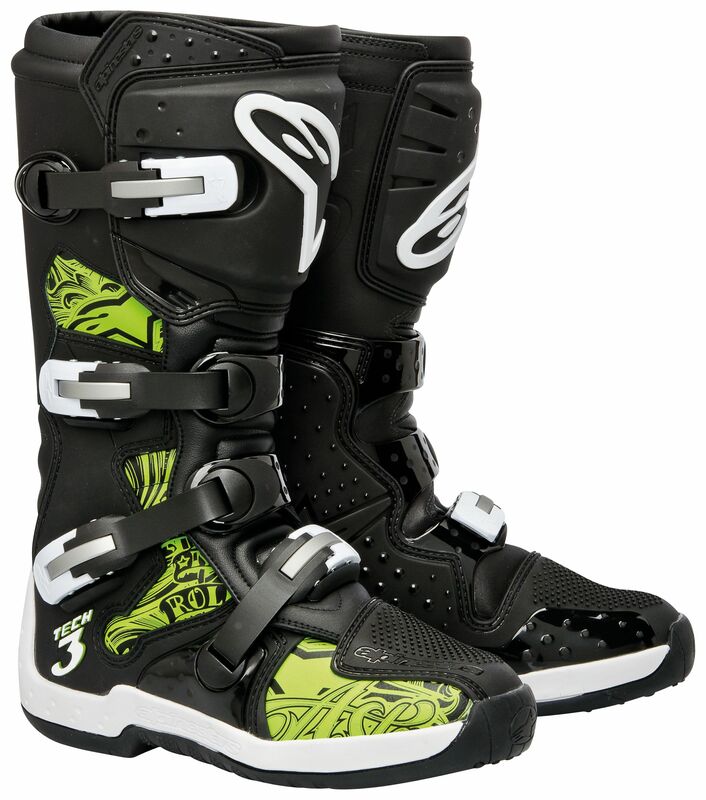 The Alpinestars Tech 3 aren't new, but the gnarly graffiti graphics are! These boots that are designed for off-road enduro riders and ATV folk who need all-terrain soles and high impact protection. The Tech 3 are value packed with leather uppers, high-grip double density compound rubber outsoles, and a contoured steel shank over-injected inside the assembly insole. The buckles are made from a techno-polymer and are highly impact resistant so they don't break on you mid-ride. An extended gaiter prevents water from entering the boot and the anatomic footbed is removable. This new graphic is available in 2 colors: green, blue and solid white. 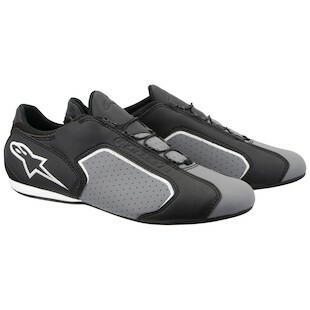 Ultra-lightweight, the Alpinestars Montreal Shoes take design inspiration from Alpinestars Formula 1 driving shoes. Internally, a toe box and heel counter are built into the shoe to provide a solid form. 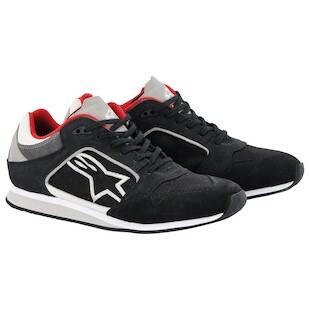 The Alpinestars Classic Casual Shoe is a lifestyle sneaker that is lightweight, breathable, and made of suede upper with vulcanized soles. The inner liner is a breathable mesh with a soft heel counter.